Dance of Shadows (Dance of Shadows - Trilogy) - Lis Les Livres- Read Books! 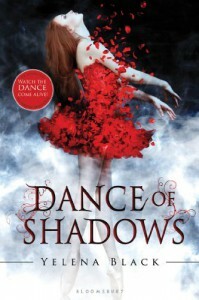 http://lisleslivres.blogspot.com/2013/03/review-dance-of-shadows-by-yelena-black.htmlCharacters: I don't know if its just me, but I love these modern books with eccentric male friend characters. They're just characters (drum rimshot). Not that any of Vanessa's friends were particularly memorable because they were laugh out loud funny, but I like seeing the social progress in literature these days. Like I said, the characters weren't special, but they certainly had intriguing motives that piques my interests in reading the sequel. Definitely by the end of the book, the characters have developed to the point where they have potential to be loved by readers. Plot: Until the very, very, not kidding about this, end the plot revolves around Vanessa getting inured with her new school and the trials of coping with her sister's absence. I thought that was dragging on. 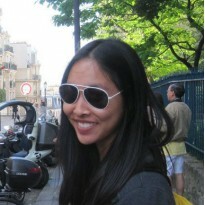 I wanted the action and more romance. Zep and Vanessa weren't pictured enough together, so their feelings didn't seem believable enough to to have significance. I didn't become attached to these characters at all. Overall: This book disappointed me, but I have hope that the sequel could save the series.Would I recommend this to a friend? I'll get back to you on this. If the sequel's good, yes. If it stink, non!